Family focused SME insurance brokers who understand your business dynamics. Seamless insurance programme to protect you throughout your project, brick by brick. Private health insurance that provides care and support for you and your family. As your trusted insurance broker, we’ll arrange your insurance cover with one insurer and one renewal date. All your buildings and contents, cars, jewellery, antiques and art insured on one insurance programme. Our unique portfolio approach to SME insurance provides a streamlined cover with no grey areas. We arrange business, personal and medical insurance programmes for small & medium enterprises. We arrange UK domestic and International health plans for individuals and families. These policies provide on-demand treatments and surgeries for both acute and chronic medical conditions. I have been very impressed with the service Stanhope Cooper has given to the Trustees of our Charity throughout our 18 month project to restore a Grade 2 * Listed Georgian property. With advice on the best way to cover the building and refurbishment works under one policy, joining in the Contractor, to alerting us to the need for non-negligence insurance for damage to adjoining properties; helping with one off issues, negotiating flexibility with a number of extensions to cover when the project overran, including agreeing no extra premium for the final 10 day overrun. Added to that, good early advice on the right insurer for the restored building, negotiating and obtaining a comprehensive package of cover, and a free insurance valuation after policy set up. I must single out Clara Boyce, who has been the main deliverer of this excellent service – always making herself available, even when ill at home! Guiding me through the complexities of the project as a real professional. I have already recommended your firm to others, and will continue to do so, for the insurance work in complex commercial development. We have worked with Stanhope Cooper’s Alison Stevens as our high net worth insurance broker for over 20 years. In the years that we have known, and worked, with Alison she has handled all of our family private high value personal insurance policies, as well as some of our business insurance policies. Alison is extremely professional, knowledgeable, experienced and helpful, and is an integral part a very motivated team of like-minded employees at Stanhope Cooper. Her commitment to her job and her clients’ satisfaction, is her primary concern. Alison is totally dedicated, always available, and never lets her clients down. On the occasions where it has been necessary for claims to be handled on our behalf, it has been done so quickly, competently, efficiently and always to our complete satisfaction. We cannot recommend Alison highly enough. She is a great asset to, and ambassador for Stanhope Cooper. Lynn D Webb & Philip R Webb, BEW Electrical Distributors Ltd.
Will Cooper and his team think like a property investor or developer in terms of risk and what’s important. We always move quickly, often exchanging and completing deals at a moment’s notice and it helps that they are on the same wavelength, not only with us but also our wider legal team. They also work very closely with our development director providing latent defects insurance on all our refurbishment and new build residential projects. 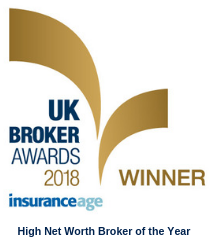 I have been working with Stanhope Cooper as our business insurance broker for the last four years. I have found the company to be super-efficient and a pleasure to deal with. All queries are dealt with swiftly by professional and discreet staff. I would highly recommend Stanhope Cooper to colleagues. Stanhope Cooper provide me with a first class service. My insurance broker Jonathan is always contactable and meets me at a moment’s notice. He simplifies and explains my insurance cover. Highly recommended. I moved my insurance portfolio to Jonathan Travers at Stanhope Cooper, following a personal recommendation. I have been delighted with the quality of service which I have received over the past two years. Jonathan has provided consistently excellent, professional and timely advice, whilst also achieving a reduction in overall premiums. I would have no hesitation in recommending the Stanhope Cooper private client service.